V.J. 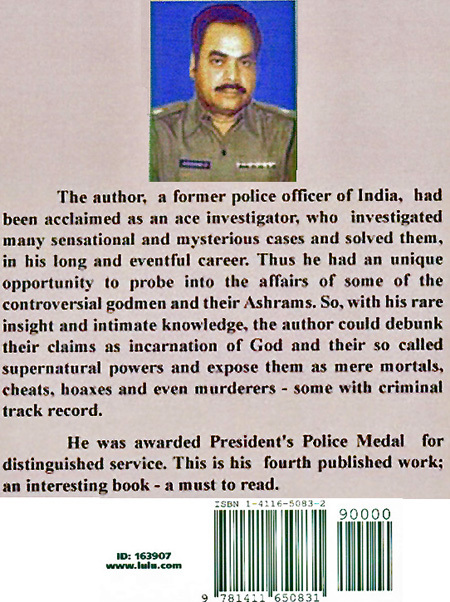 Ram (aka Janakiram)wrote of the long history of criminal incidents connected to Sathya Sai Baba and his coterie which he had investigated as a C.I.D. sleuth . Here is the first of a series of excerpts from his book. This entry was posted on August 2, 2010 at 10:54 am	and is filed under Cover-up, Cults, Gurus, Puttaparthi, Sathya Sai Baba, Sathya Sai Central Trust. Tagged: Prashanthi Nilayam, Sai Baba ashrams. You can follow any responses to this entry through the RSS 2.0 feed. You can skip to the end and leave a response. Pinging is currently not allowed.